Raz 12" Male Squirrel. This adorable squirrel can be used as an ornament and hung or placed out as the perfect addition to your holiday decor. Features one (1) male. Assorted Green/Brown/Black. Made of Polyester. Measures 12". Not Intended for Children. For Decorative Use Only. RAZ Exclusive. 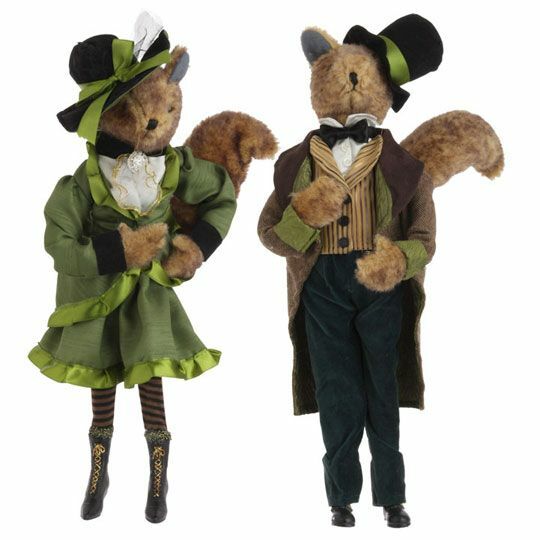 ALSO check out out the Raz 12" Female Squirrel available on our site (pictured below, but sold separately).